The official opening of a new £3 million headquarters and warehouse of a distribution firm is a “major vote of confidence” in Wrexham, according to the town’s AM. 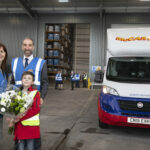 Lesley Griffiths, who is also the Welsh Government’s Minister for the Environment, Energy and Rural Affairs, cut the ribbon at the new state-of-the-art complex built by McCarthy Distribution on Wrexham Industrial Estate. The 21 metre high centre will allow the expanding firm owned and run by managing director Mike McCarthy to double its capacity and create 12 new jobs. 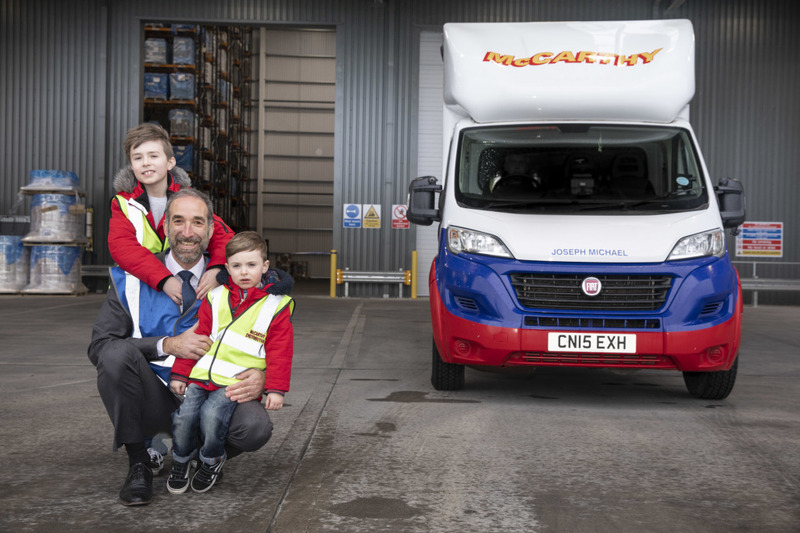 The event which was also attended by Mr McCarthy’s great nephews, Joe, seven, and three-year-old Leo James, with one of the trucks being named Joseph Michael after Joe. 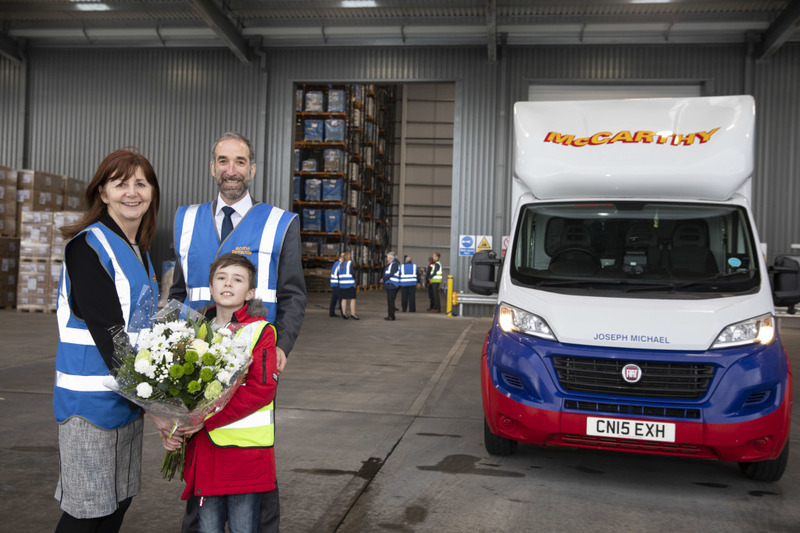 Ms Griffiths said: “This brand new distribution centre is simply amazing and it’s a major vote of confidence in Wrexham which underlines our credentials as the economic powerhouse of North Wales. “The height of the building is spectacular and it is jam packed with the very latest equipment and racking to store all kinds of goods, including food ingredients. “The operation is 24/7 during the week and not surprisingly they are already attracting new customers. 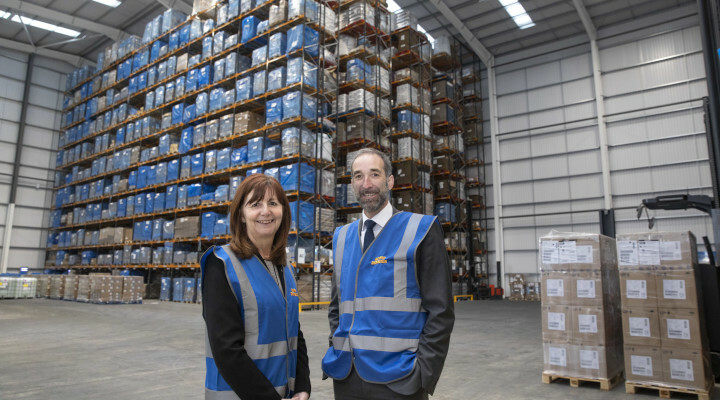 Mr McCarthy launched the ambitious eight-month build last year in response to increasing demand for warehouse space from firms moving their products around the UK and importing goods from overseas. The large building, set on a four-and-a-half-acre plot just across the road from their existing offices, can house 11,000 pallet spaces to cater for dozens of daily shipments for companies throughout the UK and abroad. It is thought to be one of the tallest warehouses in North Wales. The new building has 42,000 square feet of warehouse space and an additional 15,000 square foot canopy area outside where vehicles load and unload. There is also 6,500 square feet of modern office space given over to the firm’s administrative teams including their customer service, finance, HR and quality control departments. 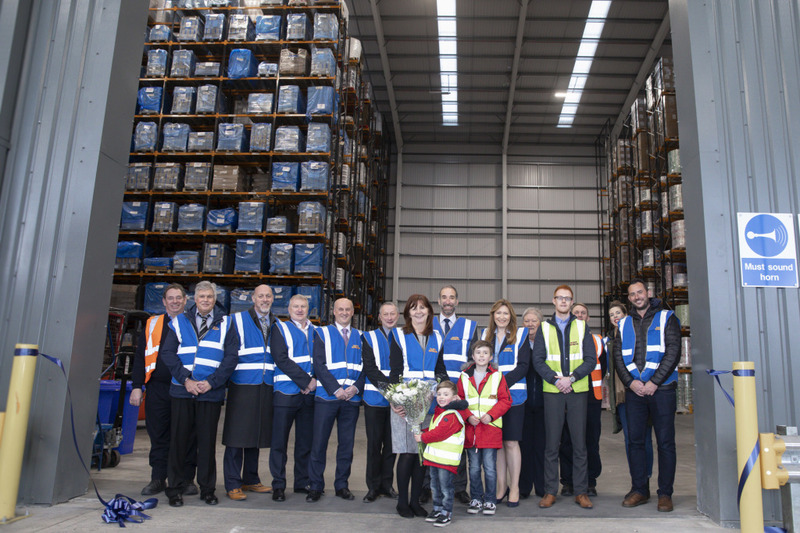 The firm has also invested in £600,000 worth of forklift trucks and racking in the new warehouse ready to handle the heavily increased amount of palletized freight. The haulage, storage and distribution firm was set up in its current guise 25 years ago. It now has 75 people on the payroll and a 30-strong fleet of vehicles. Mr McCarthy said: “I feel extremely proud to have watched this new building take shape and it’s fantastic to welcome Lesley Griffiths here today to officially open it for us now it is finished. 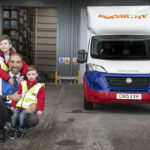 “It’s a mark of the success of the company to have achieved this new expansion and praise and credit must go to the loyal and hard-working team we have at McCarthy Distribution who have helped make all of this happen. “The idea for this really started to take shape in late 2017 when we found ourselves full to capacity and we didn’t want to be in a position where we were regularly turning away warehousing enquiries because we did not have the space. “We have known that for a number of years there has been a shortage of purpose-built warehousing and growing demand for warehouse space. Building the new complex was made possible by financial support from Clydesdale & Yorkshire Bank Group and it was built by Portal Construction (NW) Ltd and project managed by Caulmert Ltd.
Mike Scott, Relationship Manager Commercial for Clydesdale & Yorkshire Bank Group, said: “It has been a pleasure to attend the official opening of the new McCarthy Distribution warehouse and see this exciting expansion project come to a successful conclusion. Like McCarthy Distribution’s existing warehouse facilities, the new site is accredited by the British Retail Consortium (BRC) which means it has passed stringent inspections to be allowed to handle food products and packaging. Moving to the new premises will also enable the company to bring their entire team together under one roof. 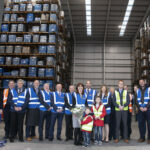 Mr McCarthy added: “As well as more than doubling our warehouse capacity, having the whole of the McCarthy Group team together in one building will improve our operational efficiency.